FRANKFURT (Bloomberg) -- Daimler will acquire Evonik Industries' 50.1 percent stake in their Li-Tec joint venture, making it the sole owner of the lithium ion battery cell manufacturer. The carmaker will also buy Evonik's 10 percent share in their Deutsche Accumotive battery partnership to take full control of that business, Daimler said today in a joint statement with the chemical producer. Evonik CEO Klaus Engel said in October that slack demand for electric vehicles, coupled with fast-growing supply, has put pressure on prices. A "three-digit-million" euro sum and a lot of extra risk would be needed to keep up with the industry's rapid development, prompting Germany-based Evonik to seek a buyer for its battery activities, Engel said. "Evonik and Daimler have found a good solution," Thomas Hermann, head of corporate development at Evonik, said in the statement. "The agreement creates important opportunities for Germany as an industrial location in an international environment of intense competition." Li-Tec is based in Kamenz, near the eastern German city of Dresden, and has about 380 employees. It produces battery cells for the current model of Daimler's Smart ForTwo electric minicar, the companies said. Deutsche Accumotive had about 230 workers as of the end of last year and is based near Stuttgart. 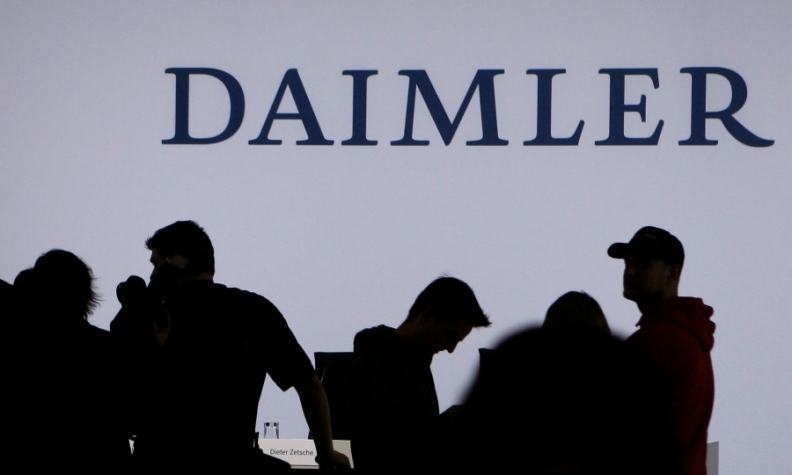 Daimler's Mercedes-Benz owns about a 4 percent stake in U.S. electric-car producer Tesla Motors. Mercedes will use a Tesla drivetrain in an all-electric version of the B-class compact, and Daimler Chief Financial Officer Bodo Uebber outlined plans in October to tighten cooperation with the U.S. manufacturer.